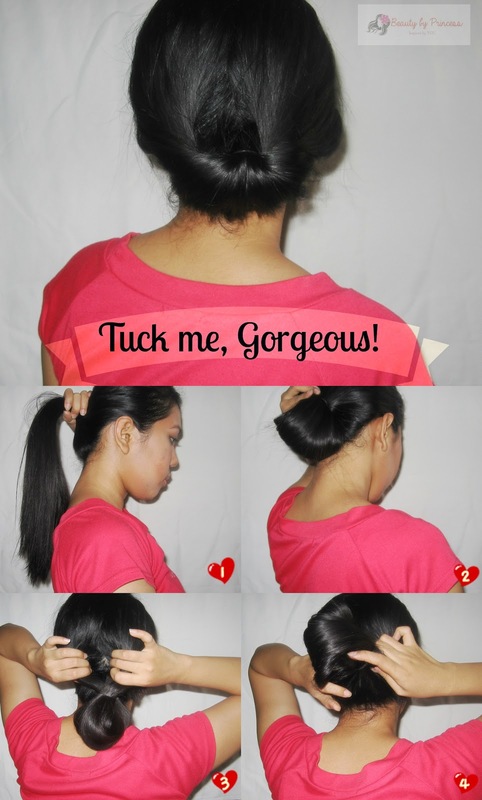 Less than a minute hairstyle: Tuck me gorgeous! Too busy to style your hair? Here is under a minute hairstyle you can try. You can make a classy look by pulling out a little hair or you can just make it neat when you want your hair out of your face instead of a your usual pony. You like easy hairstyles? I like it too. Watch out for some more easy hair tutorials.